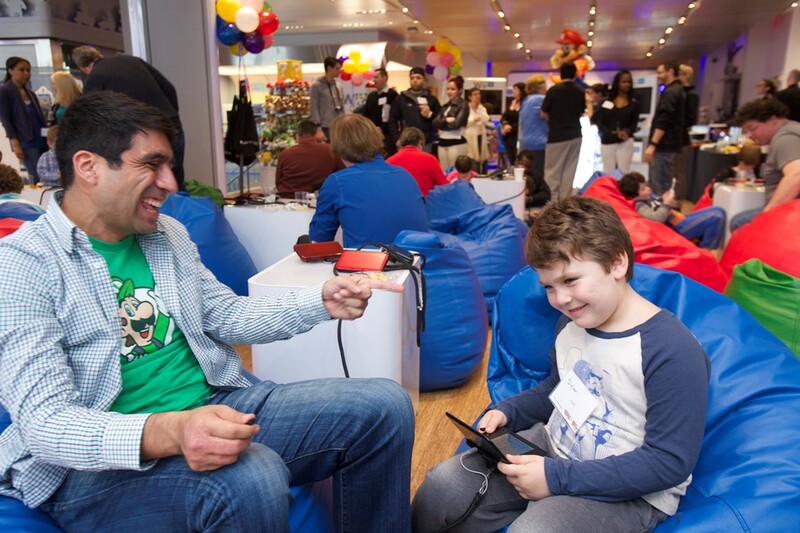 During the weekend of February 19, Nintendo NY will host a series of reopening activities. Fans can stop by for giveaways (while supplies last), appearances by costumed characters like Mario and Luigi, and exclusive souvenirs that can only be purchased that weekend, including a limited-edition T-shirt featuring Mario or Link. Wii U and 3DS games will be on hand to sample as well. Head past the break for today’s full announcement, including a look at the bronze coin. We have a couple of new Nintendo Direct-related updates to share. First, following today’s presentation, a new Nintendo Minute will air. 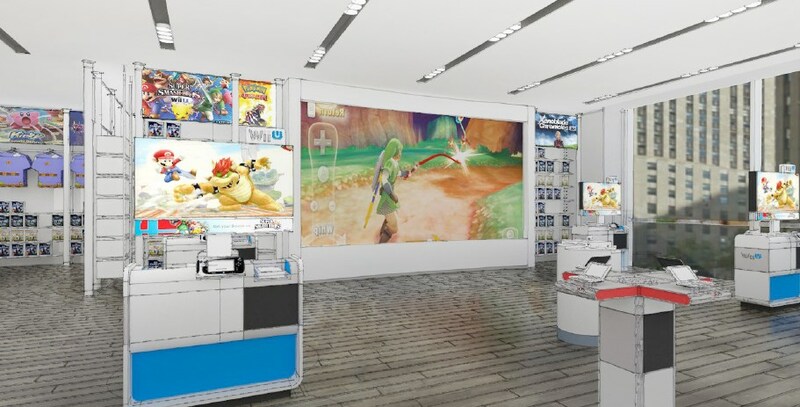 And for those close to New York City, a live stream of the broadcast can be watched at Nintendo World. Join us today at 5PM EST at #NintendoWorld to view the live stream of the Nintendo Direct! 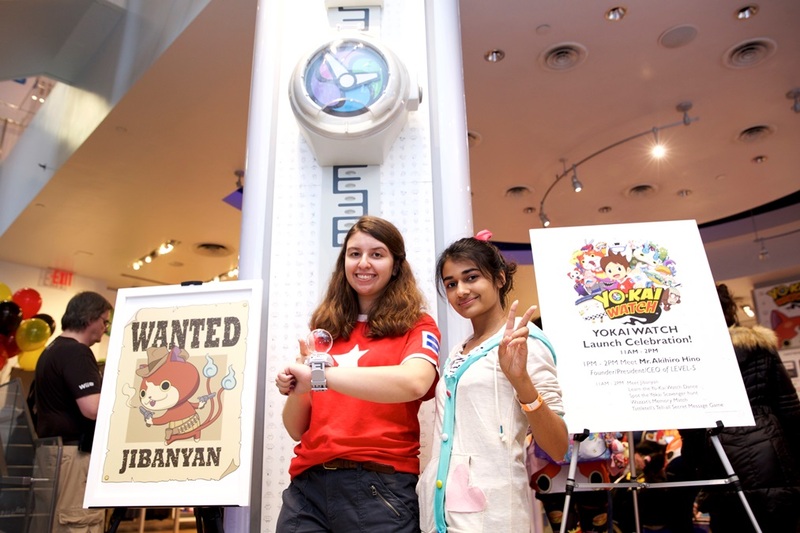 Earlier today, Nintendo World in New York held a launch event for Yo-kai Watch. 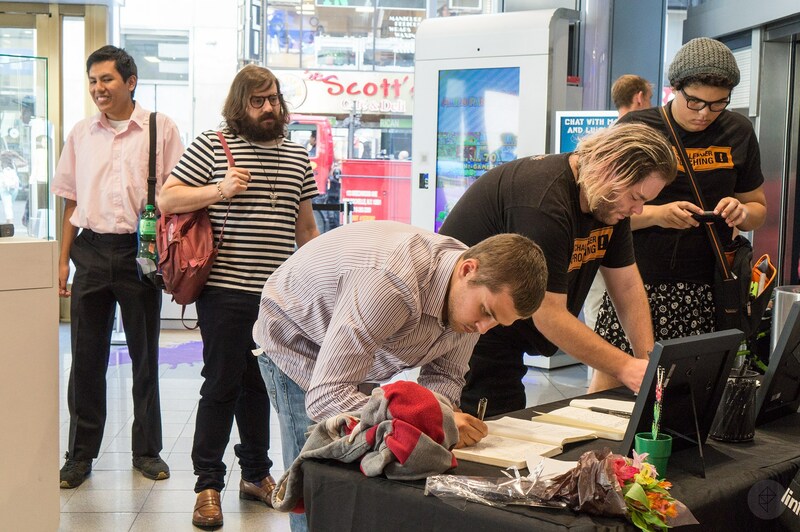 Photos of the event have since been made available, which you can find below. Photo descriptions are also included. 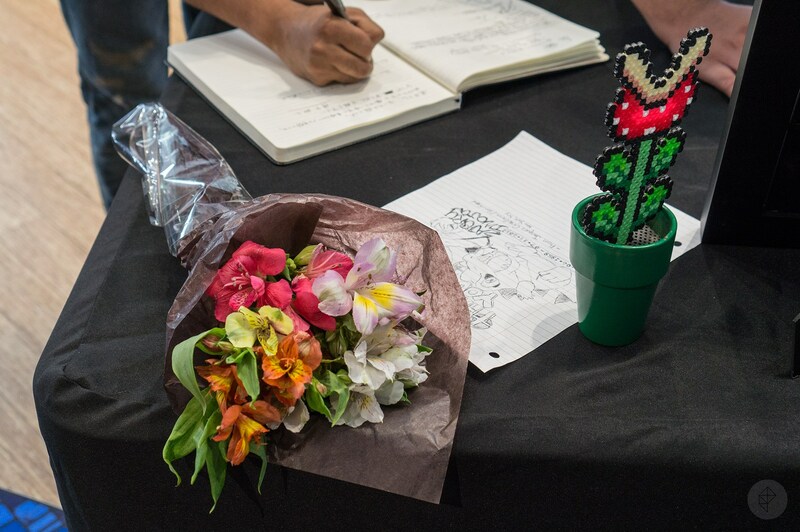 Nintendo World just recently opened an art display for Splatoon. Those who stop by the store can check out various images from the game. 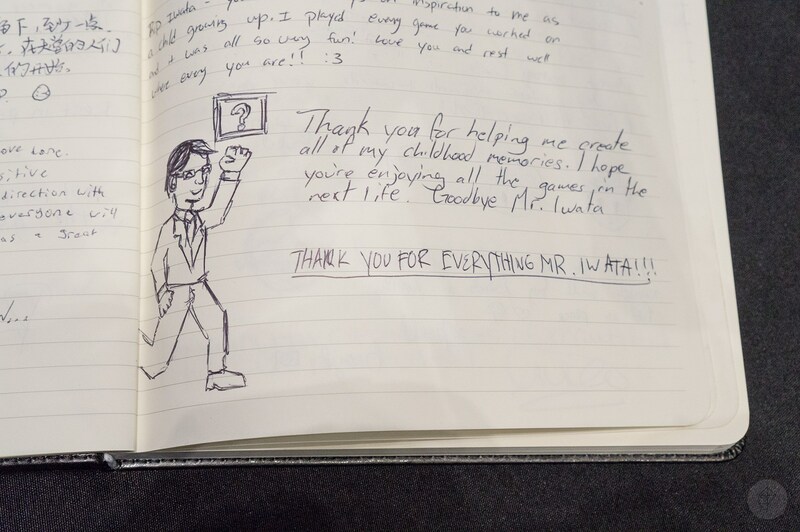 There’s even some recognition of the related Iwata Askss discussion. 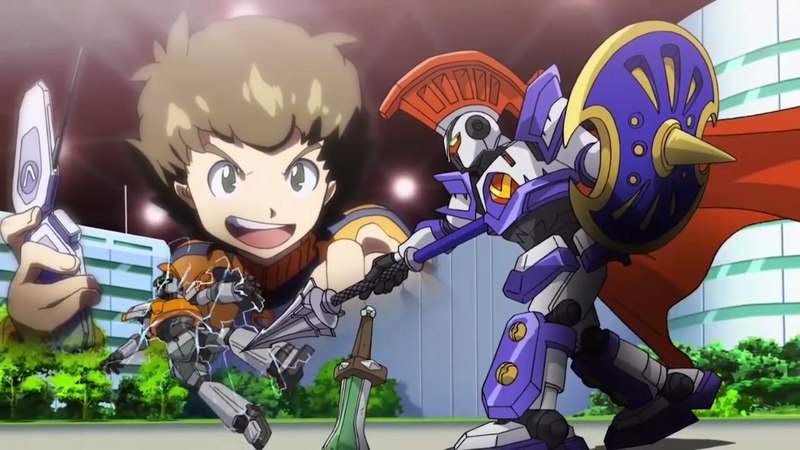 Nintendo World will be hosting a special LBX: Little Battlers eXperience on August 22. Those who stop by will be able to participate in an exclusive screening of two new episodes of the TV show, play the game with experts from Nintendo, and enter a drawing for a chance to win a mini robot figure. 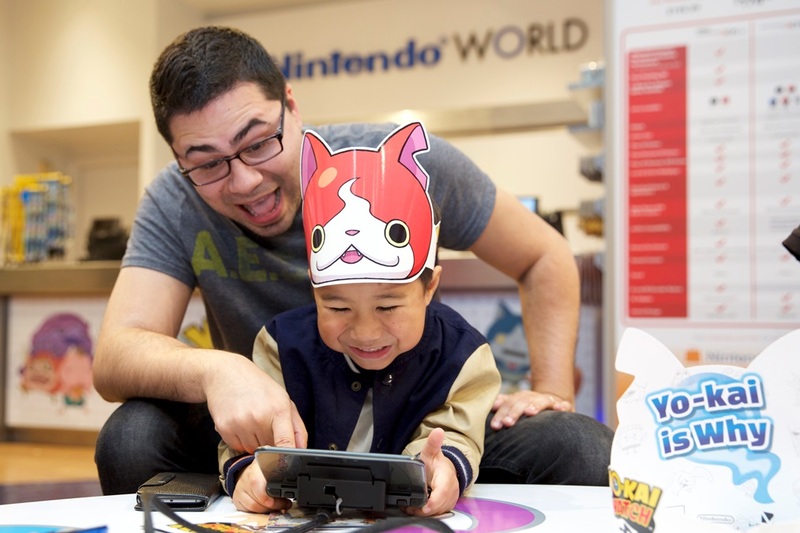 LBX: Little Battlers eXperience will be playable at Nintendo World between 9 AM and 9 PM. There will also be three screenings of the episodes throughout the day. For more information, head past the break. 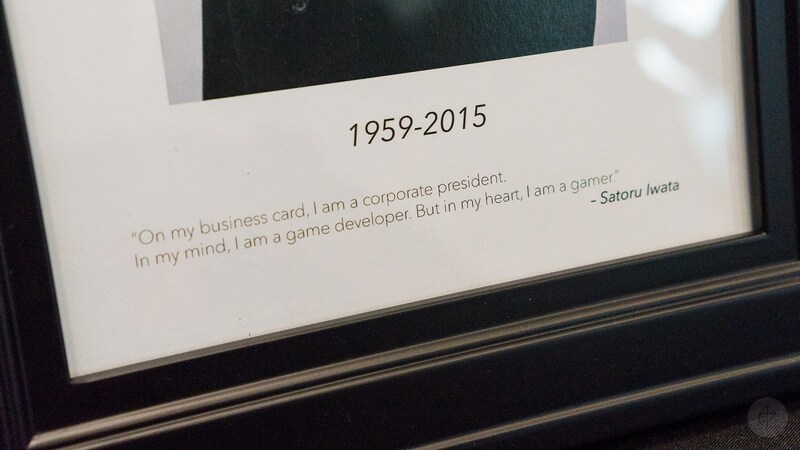 As we reported earlier today, the Nintendo World store in New York has set up a little memorial for Satoru Iwata, who passed away over the weekend. Check out some photos below. It’s worth noting that the memorial will be kept in place for roughly two weeks. 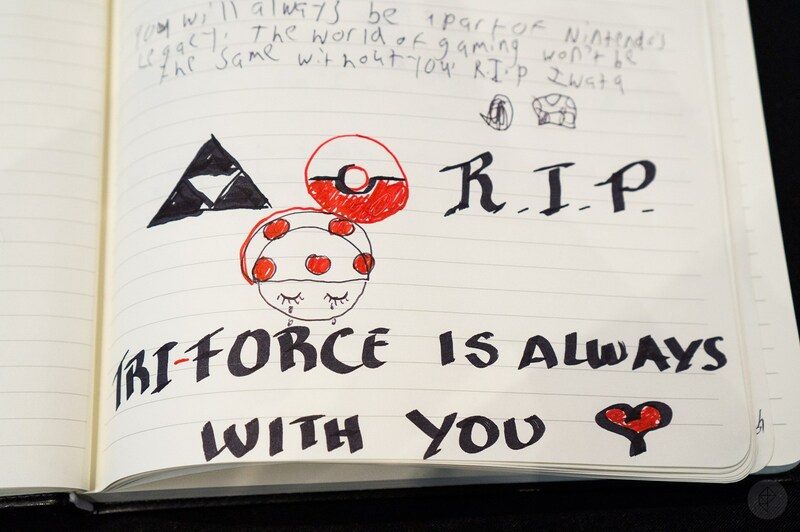 The notebooks (and potentially other items left by visitors) will then be sent to Nintendo of America’s headquarters in Redmond, Washington. 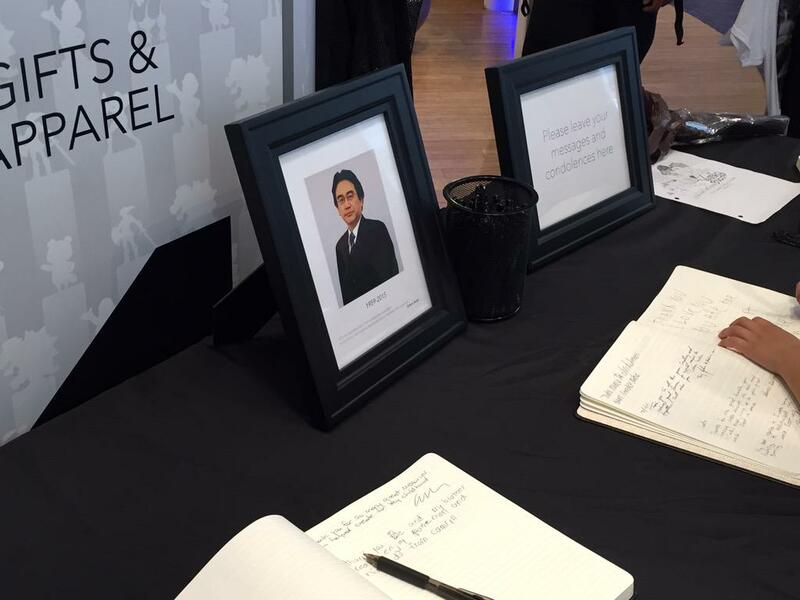 If you happen to be around Nintendo World in New York, you can stop by the store to offer condolences for the passing of Satoru Iwata. 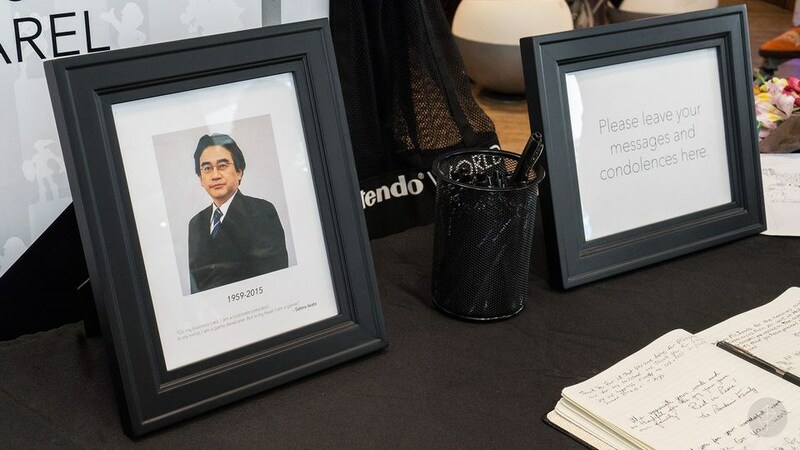 It looks like a couple of books have been set up so that fans can leave messages in recognition of the Nintendo president. 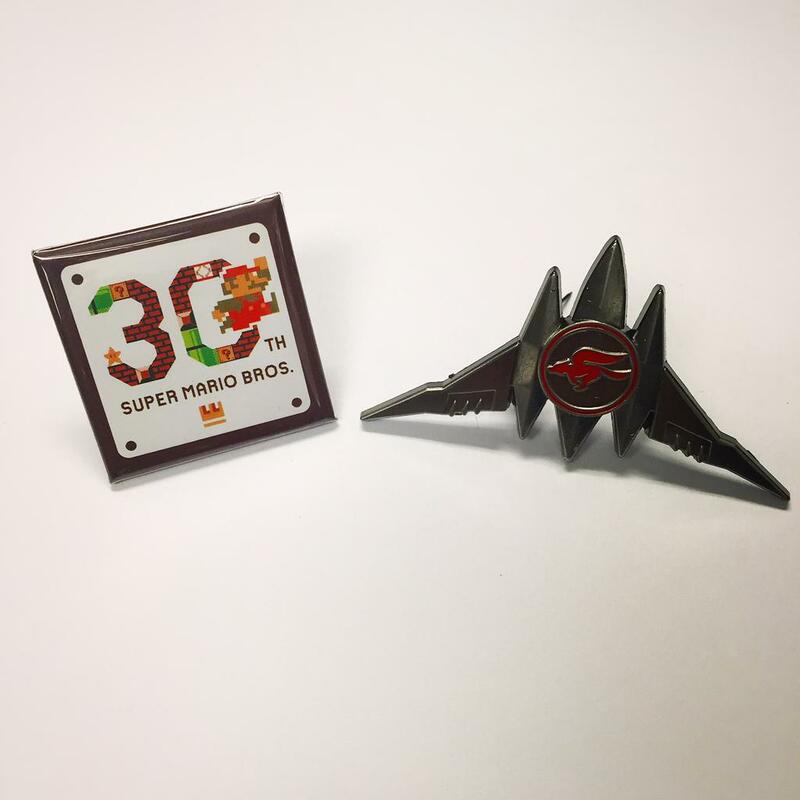 (2 of 2) Star Fox Zero & The Legend of Zelda: Tri Force Heroes & receive these pins just for playing! While supplies last. 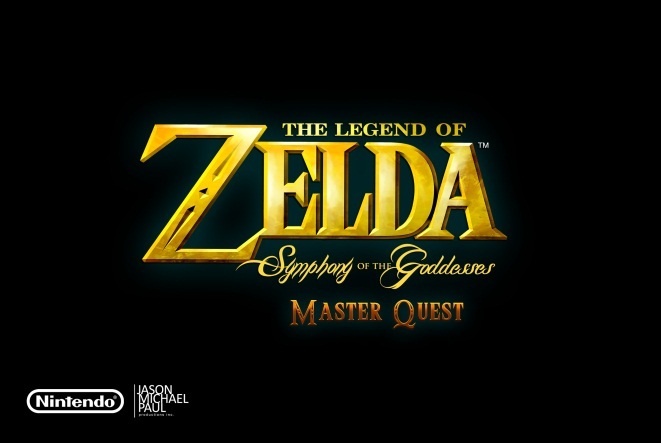 Jason Michael Paul Productions, Inc. and the Nintendo World store have announced an in-store event celebrating The Legend of Zelda: Symphony of Goddesses – Master Quest tour along with its impending show date in New York City in October. It’ll be held on September 4 at 6 PM. Executive producer Jason Michael Paul and conductor Amy Andersson from the Zelda Symphony will also be in attendance. The Legend of Zelda: Symphony of Goddesses – Master Quest sneak preview will take place at Nintendo World between 6 PM on 9 PM. Seating will be limited and tickets will be distributed on a first-come, first-served basis. Those who have purchased VIP tickets to the October 13th show at the Barclays Center will receive guaranteed access to the Nintendo World Zelda Symphony event. 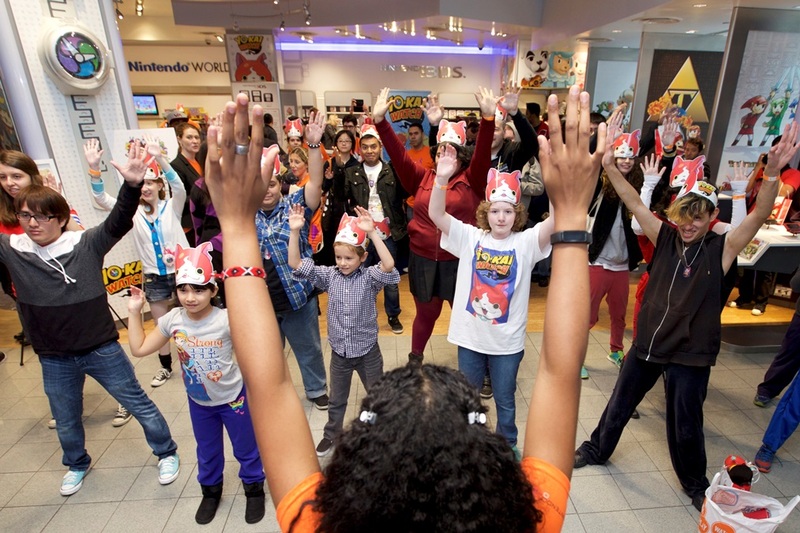 An event was held at Nintendo World store earlier today for Puzzle & Dragons Z + Puzzle & Dragons Super Mario Bros. Edition. 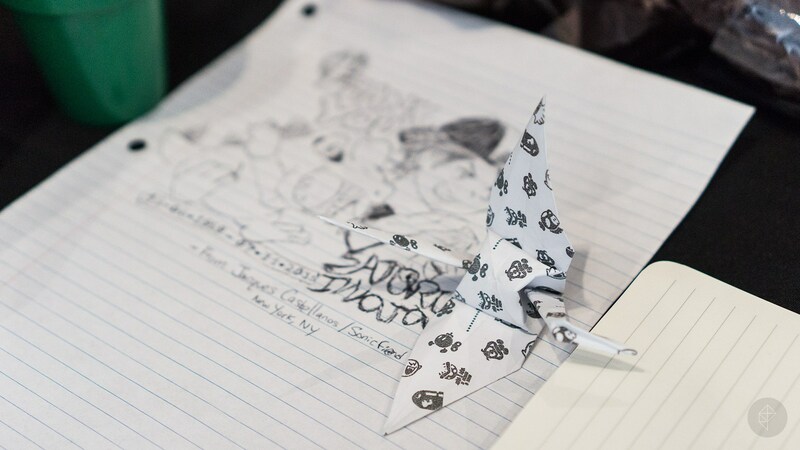 Nintendo has since sent out a few photos, which can be found below. 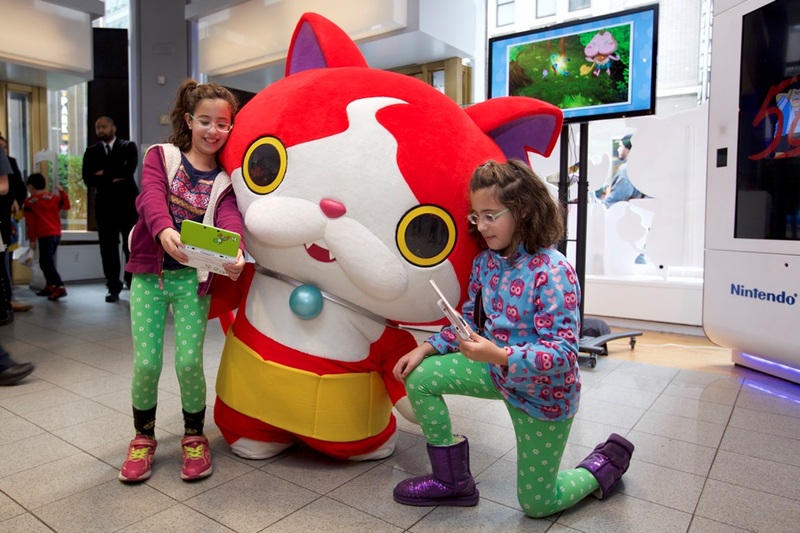 In this photo provided by Nintendo of America, Onica C. and son Daniel C., age 6, of New York City attend an exclusive event at the Nintendo World store in New York on April 25, 2015, to play and learn about Puzzle & Dragons Z + Puzzle & Dragons Super Mario Bros. Edition. The two unique puzzle games combine match-three and RPG elements, and come in one package for the Nintendo 3DS family of systems on May 22. A free demo for Puzzle & Dragons Super Mario Bros. Edition will be available on April 30, 2015. 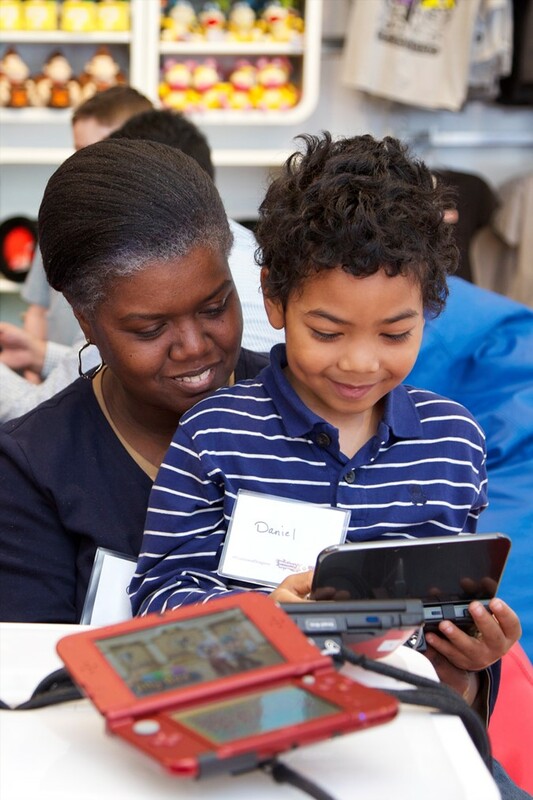 In this photo provided by Nintendo of America, Fox W., age 4, of New York City and Daniel O. from Nintendo of America have fun playing and learning about Puzzle & Dragons Z + Puzzle & Dragons Super Mario Bros. 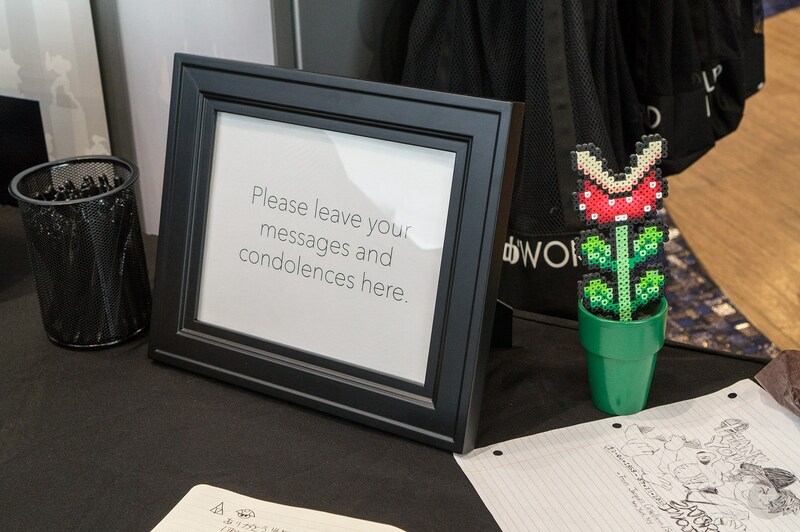 Edition at an exclusive event at the Nintendo World store in New York on April 25, 2015. The two deep puzzle games combine elements of match-three and RPG games, and are coming in one package to the Nintendo 3DS family of systems on May 22, 2015. In this photo provided by Nintendo of America, Daniel O. of Nintendo of America and Dylan M., age 6, of Brooklyn, NY, lose themselves in the fun game play of Puzzle & Dragons Z + Puzzle & Dragons Super Mario Bros. 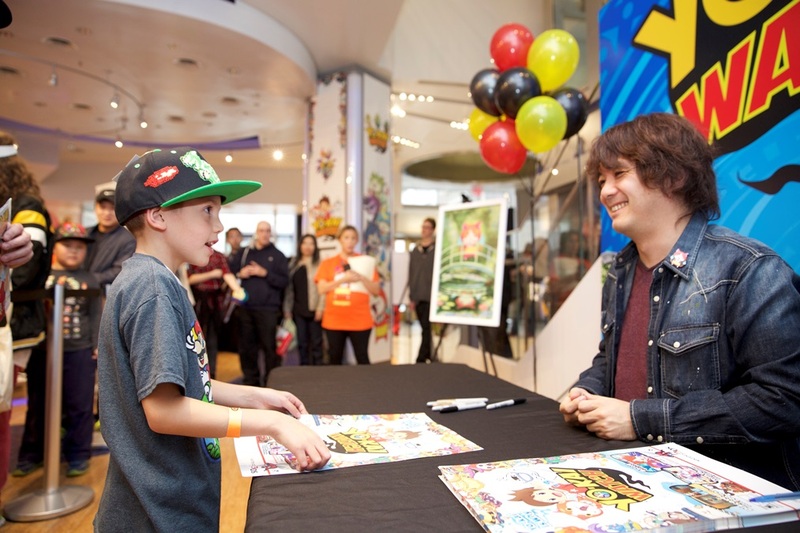 Edition at an exclusive event at the Nintendo World store in New York on April 25, 2015. The two immersive puzzle games combine elements of match-three and RPG games, and are coming in one package to the Nintendo 3DS family of systems on May 22, 2015. A free demo for Puzzle & Dragons Super Mario Bros. Edition will be available on April 30, 2015. 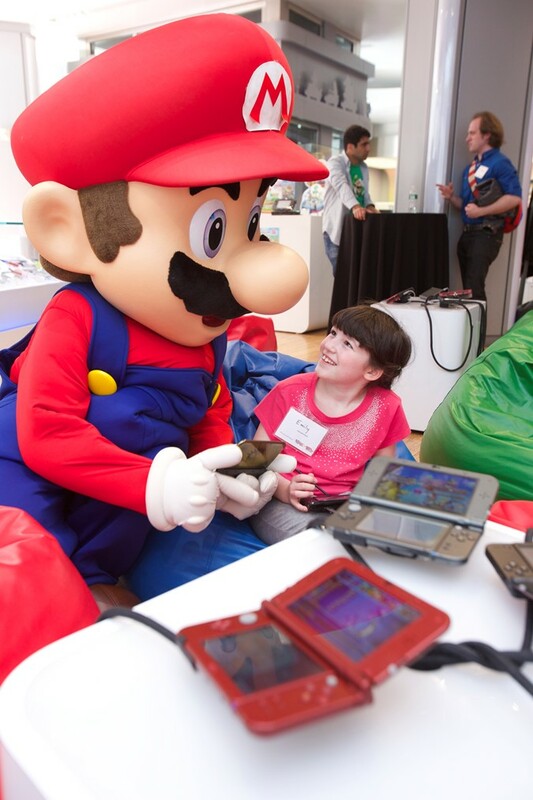 In this photo provided by Nintendo of America, Emily S., age 8, of New York, meets Mario at an exclusive event at the Nintendo World store in New York on April 25, 2015. Attendees were delighted with a surprise visit by the Mario costumed character and played Puzzle & Dragons Z + Puzzle & Dragons Super Mario Bros. Edition, two surprisingly deep puzzle games that combine elements of match-three and RPG games, and that will come in one package to the Nintendo 3DS family of systems on May 22.